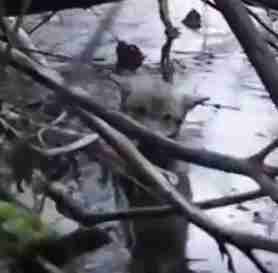 Navarre the wolf was nearly frozen to death when he was found unable to move in an icy river in Italy. 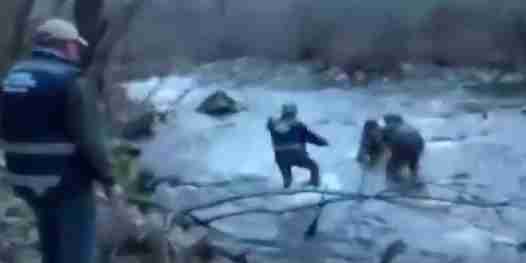 A group of kind men waded out in the frigid waters to carry the ailing wolf to shore, a video posted to YouTube shows. 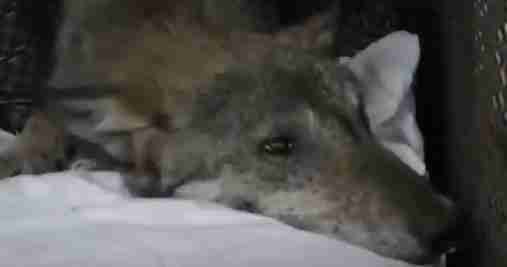 As rescuers carry the wolf's limp body up the embankment, it almost seems as though all hope for his survival is lost. Navarre isn't breathing, and they can't find a heartbeat. 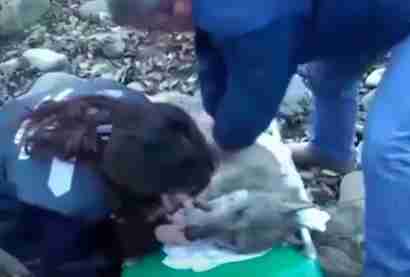 People surround the wolf, trying to resuscitate him. 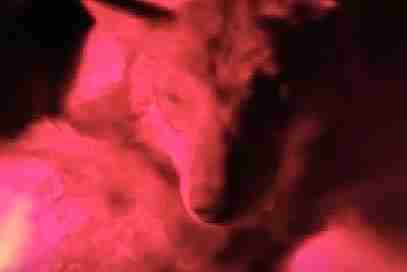 A man stands over Navarre, with his hands over the wolf's heart, trying to get it pumping again. A woman leans close to the wolf to see if there's any sign of breath. She even tries to breathe life back into the wolf's mouth. Watching the footage, the attempt seems hopeless - until a miracle seems to happen: Navarre starts to breathe again. Rescuers set to work warming Navarre, putting him under a blanket and drying his fur with a hair dryer, as they transport him to a recovery center. Navarre's back legs were paralyzed from the cold. Along with the other strides he needed to make in recovery, he would need to relearn how to walk. His recovery was touch and go, and he had to get a series of tests and treatments. But slowly, Navarre gained strength at the Monte Adone Wildlife Center. He even learned to walk again. 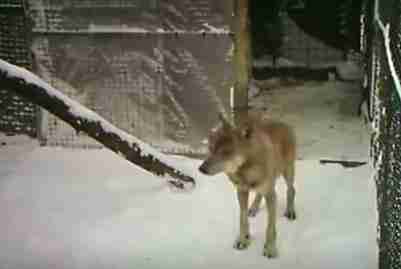 At the end of the video, Navarre is shown walking on his own and happily enjoying the snow, as he works to gain enough strength to reenter the wild. There are so many incredible stories about the relationship between human beings and animals, and the internet is a living record of them. Sadly, a few months after his rescue, Navarre passed away. These stories surface and disappear and surface again, becoming the stuff of legends. While Navarre is no longer among the living today - he died in 2012 due to illness stemming from his injuries - the act of devotion and kindness that saved his life is captured forever in these images.